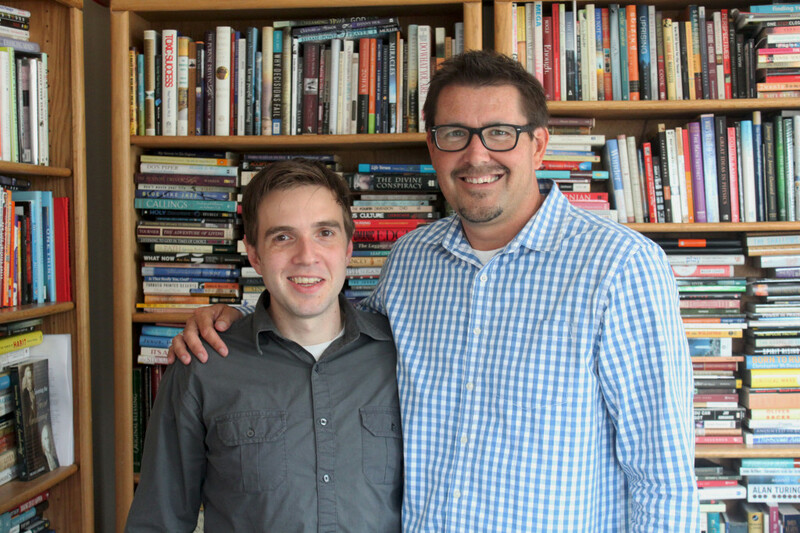 I had the awesome opportunity to sit down and have lunch with Pastor Mark Batterson recently (July of 2013) . Pastor Mark has done a remarkable job as lead pastor at National Community Church in Washington, DC. NCC is widely considered one of the most innovative churches in the country. He also operates the largest coffee shop on Capitol Hill, Ebenezer’s Coffee Shop, which has been a unique ministry outreach in the heart of our Capitol. We sat down to talk about his NY Times best-selling book , The Circle Maker, and I was honored to get his first interview about his upcoming book All In. Stay tuned for the second part of this interview series done for Crossings Books! Kevin Syes: What are some of your favorite stories that have come as a result of The Circle Maker? Mark Batterson: I have met with a couple of congressmen who said, “We read the book and we just want you to know we are circling the Capitol in prayer.” That is pretty cool. I think it has even found its way into some White House and some Pentagon circles as well. The thing I love is that teachers are literally beginning the day circling their classrooms in prayer, doctors are turning their rounds into prayer circles, realtors are circling houses. You know, I try to be really clear with people that it’s not just about circling something… it’s just about committing things to the Lord in prayer. Probably one of my favorites was just doing an NFL chapel for a team this season and the coach pulled me aside afterwards and he said that he and his wife circled the stadium every night before home games. So, stories like that. People that have a dream, something that seemed impossible, but they would commit it to prayer. That was my prayer for this book. It wasn’t a book they would just read, but it would be a catalyst for them taking their prayer life to another level. One pastor and his staff, a church plant up in New England—and you being a pastor would get this side of the equation—he was so inspired that he and his staff drove around week-long, more than 2000 miles around a five-state radius, just praying for the territory that they felt like God had called them to. I think a lot more people are praying like it depends on God. Kevin Syes: We are sitting over a year after the release of [The Circle Maker]. How would you describe what God has done with this book in that time? Mark Batterson: I think in its simplest terms, it has given readers a common vocabulary to talk about prayer. You know, the story of Honi the Circle Maker, it’s not in the Bible, but it’s an incredibly inspiring true story. And I think there is just something about the metaphor of the circle that’s helped simplify prayer for people. And then I try to juxtapose that with Jericho and just the idea that you have to keep circling those promises. I think it’s almost the simplicity of that that has resonated with people and then it is a little bit of a double entendre because in a lot of churches a prayer circle would be just a group of people kind of praying together in a circle and that’s what has happened. At this point thousands of churches have done a series or a small group study. I mean, the curriculum has been crazy. And what’s happed is it’s created a prayer culture in churches. And if you get a remnant of people praying—it doesn’t even have to be a majority in my estimation—if you get a strong remnant of people praying, it can change the culture of a church. Kevin Syes: Yeah, I agree. Just to let you know what our church has done with this book, we did a series, and at the end of the series in Frederick, MD we organized and encouraged people in Frederick to take prayer walks with us. So we circled schools in the area that were affected by the youth ministry of our church, we circled local government in prayer, local colleges…we had six location that people choose to join us and walk in prayer. We got a lot of local news coverage. People were so encouraged by our commitment to pray for the city. For me this year as well, every one of my teams as we sat down to do our strategic planning this summer, that was the first thing we did. What do you want to circle in prayer? What do you want to see God do in our midst this year? And my leaders just resonated with this because it got them dreaming and thinking and saying the things that they wanted to believe God for, but they were afraid to say out loud. After that, we designed and printed up the things we had committed to pray…student ministry, young adult ministry, family ministry and we have put them up on the wall so we remember what we have committed to pray for this year. And we have already see God move and some of these prayers have been answered. Mark Batterson: Love it! Man, pushing people to be specific in their prayer was one of the most vital parts of the book, it was also the part that knew had the potential to be misinterpreted. So, you know, I try to diffuse that by immediately saying, “this is not name it claim it.” If it’s not in the will of God, it’s not going to happen! But even sharing my life goals, that was intimating to do that. It’s putting yourself out there! But it’s amazing how many people have been inspired by that in then to go ahead and set some goals. There have been a lot of youth groups who have started circling schools, which I love. It’s praying a perimeter, its believing that we struggle not against flesh and blood but against powers and principalities. But I think it’s a practical way to reinforce that. Kevin Syes: You kind of hit on this already, but what is the line between someone praying a bold prayer and someone expecting God to act on their behalf? There is a line there somewhere… but is there something that would point to and say “this is the litmus test”? Mark Batterson: Well, I think the litmus test is twofold. Number one, it has to be in the will of God. Number two, it has to be for the glory of God. I mean, let’s be honest, 90% of prayers are for our personal comfort not God’s glory. I think sometimes we want to pray away certain things when honestly that is when we need to learn to pray through. When you are in a tough circumstance or situation, prayer is not primarily about changing circumstances, it’s about changing us. And it’s not about our agenda for God, it’s about discerning His agenda for us. I still think we are supposed to ask, and knock, and seek, but do it in a spirit that I would call bold humility or humble boldness. It’s… “I’m not omniscient, so that keeps me humble. But the Bible tells me to approach the throne of grace with confidence so I need to do it with boldness.” And so when you couple those two things…I really think that’s the character of what a follower of Christ ought to be. You know? Humble boldness! Kevin Syes: I just love the idea that prayer isn’t really about changing God, but it is often times God changing and recalibrating our own hearts. Whenever you are praying these bold prayers, even as you said in your own life, it was God recalibrating you to say that “Mark, this isn’t where I am taking you right now.” But the prayer was part of the process that God took you through to reveal that in your own life. What are some specific examples of that for you? Could you share some of those? What are some prayers that you feel God has just said “no” or unanswered prayers in your own life? Mark Batterson: I mean, I was fully convinced [during our first church plant] in Chicago that it was what God wanted me to do, but we fell flat on our face. So, I haven’t totally figured that one out yet. So, was it God’s will and we messed it up? …or was God’s intension for us to walk a through a failed attempt? It’s funny, the money that we had accumulated as a core group, which wasn’t much, we ended up giving to a missionary in Japan. So, maybe that was the purpose!? I don’t know! But that was a big one. And then, we met in Union station for years and I prayed and prayed and prayed that God would keep us there and somehow give us that space. It’s not what happened. But then from that, we were able to get what I call “the last piece of property on Capitol Hill.” I mean, an 8 million dollar piece of property debt free. That’s going to be huge for us. Something on a personal level. I have asthma, and have prayed that God would heal me. That hasn’t happened. So, I have my share of prayer disappointments. But the Bible doesn’t say that then you can stop asking. No! Then it’s just a greater exercise of faith. I am going to keep seeking, keep knocking, keep asking. So, I think you just keep on keeping on. You know, failure [in prayer] is not not getting what you ask for. The only way you can fail at prayer is not pray. I really believe that.